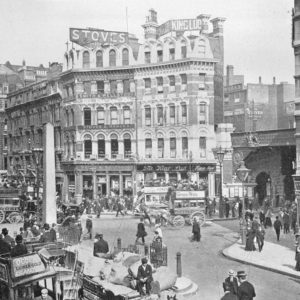 Levy & Franks pioneered the introduction of catering to public houses in the late nineteenth century. The business developed the Chef & Brewer concept, which survives as the second oldest pub chain in the world. Isaac Levy (born 1845) was born into a working class Jewish family from Whitechapel, London. He worked as a bookmaker before he acquired the licence of The Pitt’s Head pub on Old Street, London in 1887. As the capital grew, city workers increasingly commuted from the suburbs, and were keen for somewhere to buy a hot lunch. However, pubs at the time were descendants of the gin dens, and it was difficult to get a good cup of tea, let alone a meal. Levy was passionate about food, and he acquired The King Lud at Ludgate Circus, where he began to sell Welsh rarebits. Ezekiel Levy (born 1872), the son of Isaac, followed his father into the public house trade when he acquired the licence of the Admiral Keppel, Fulham Road in 1893 (later sold to Levy & Franks in 1924). 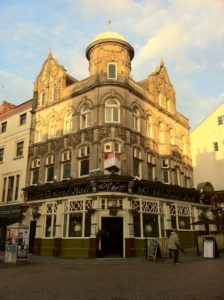 Ezekiel Levy entered into partnership with his brother in law, Henry “Harry” Franks (born 1869), to acquire the licensed premises of his father in 1897. Isaac Levy grew wealthy and relocated to 50 Russell Square, where he employed five servants by 1901. 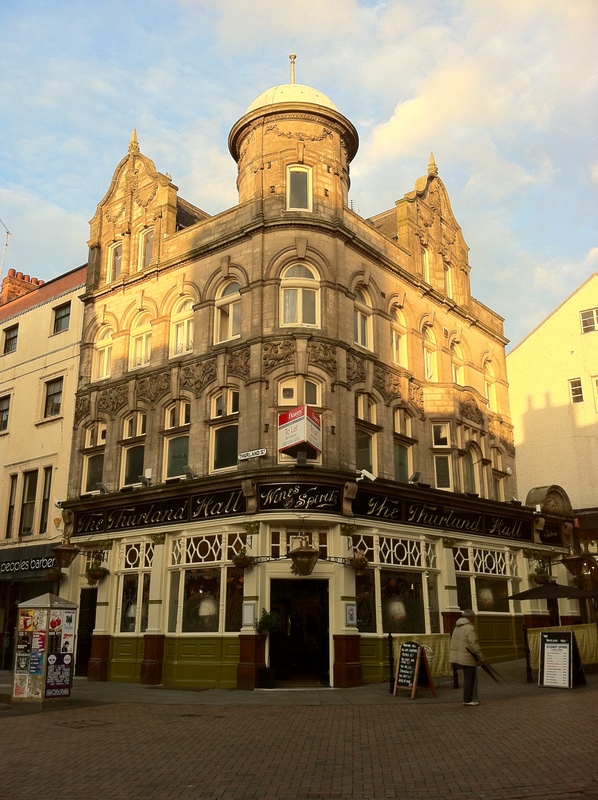 Levy & Franks rebuilt the Thurland Hall public house in Nottingham after they acquired it for £8,000 in 1898. Harry Franks originated the Chef & Brewer name in 1901. Levy & Franks was incorporated as a private company in 1911. Levy & Franks controlled 70 to 80 public houses by 1914. A typical daily sale for one of their pubs was 600 sandwiches, 135 meat pies and 800 Welsh rarebits. Levy & Franks was converted into a public company in 1946. The business owned 46 licensed houses, all but two of which were in the Greater London area. The Chef & Brewer brand was familiar throughout London by the 1950s. Levy & Franks operated 50 pubs and eleven delicatessens by 1962. Levy & Franks entered into financial difficulties due to high warehouse and head office costs, and the directors approached Grand Metropolitan, a hotels and catering concern, who acquired the business for £2 million in 1966. Chef & Brewer was acquired by Scottish & Newcastle, a large British brewer, in 1993. Chef & Brewer was sold to Spirit Group, a pub company, in 2004. Greene King, a large British brewer, acquired Spirit Group in 2014. The Chef & Brewer chain operated over 140 outlets as of 2019.